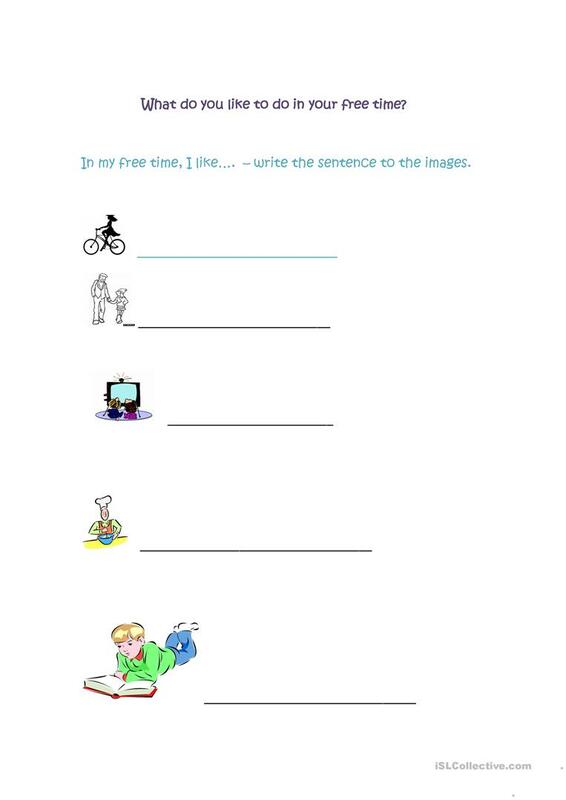 This is a simple worksheet to give students to complete some task at class or at home, to write the corresponding sentence to the correct image. Five images to practice. This downloadable worksheet is a great resource for high school students and adults at Beginner (pre-A1) and Elementary (A1) level. It is a useful material for consolidating Verb tenses in English, and is excellent for developing your class' Reading and Writing skills. It is focused on the topic and words of Actions and Free time, leisure activities.